We need better government, not bigger government. I understand Oklahoma’s need for better government, not bigger government. Let me tell my legislators now! Want to know more? 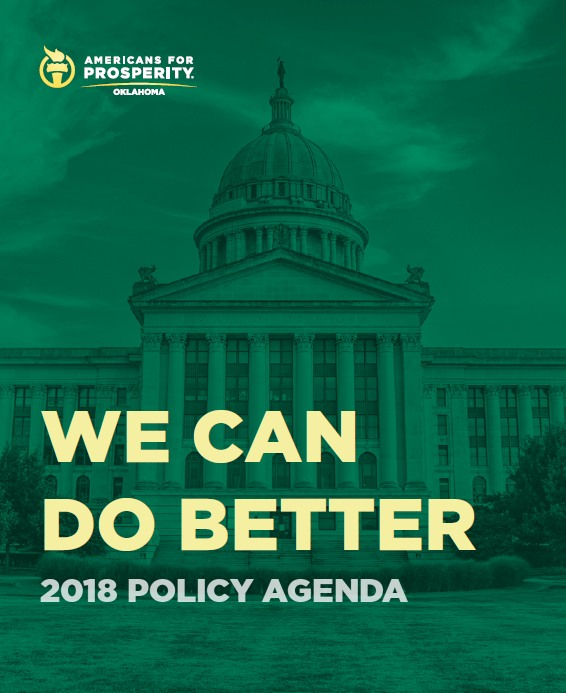 Continue reading below for how Oklahoma government can do better! We believe we can do better without raising taxes on our citizens and the least fortunate among us. We believe increased transparency, better accountability and taking an honest, hard look at what state government does for its citizens is a good place to start. Too often we’ve heard folks at the state capitol say, “we don’t know what money we have coming in, and we don’t ever know what we are spending it on.” This must stop. You wouldn’t accept that premise in your business or at your kitchen table. Our state leaders shouldn’t either. Oklahomans deserve better. We believe we can give our kids a better education by reforming the state budget process and accounting for every dollar we send to the classroom. Education constitutes more than 50 percent of our state budget, but it never seems enough for the education establishment. What are we spending our money on, and why are we not getting the outcomes we know our kids can achieve? Our children deserve better. We believe we can do better by changing the way our state compiles the budget and tracking how our money is spent. Every tax dollar should be viewed as sacred. Honest Oklahomans work hard to earn that money, and every penny they send to the capitol to make our state a better place should be respected. Hardworking taxpayers deserve better. We believe that through responsible reforms we can help the health of our friends and neighbors. We must ensure that every Medicaid recipient is getting the quality care they deserve and everyone has the best options for care available. Our friends and neighbors deserve better. We know we deserve better because we’re a state founded on can-do ideals, and we still have a strong pioneer spirit. Government can’t be all things to all people, so why are we allowing our state leaders to push us to bigger government We know what government should be and what it can’t be, and many agree we’ve gotten away from what is best for us. Tell your lawmakers: WE CAN DO BETTER!